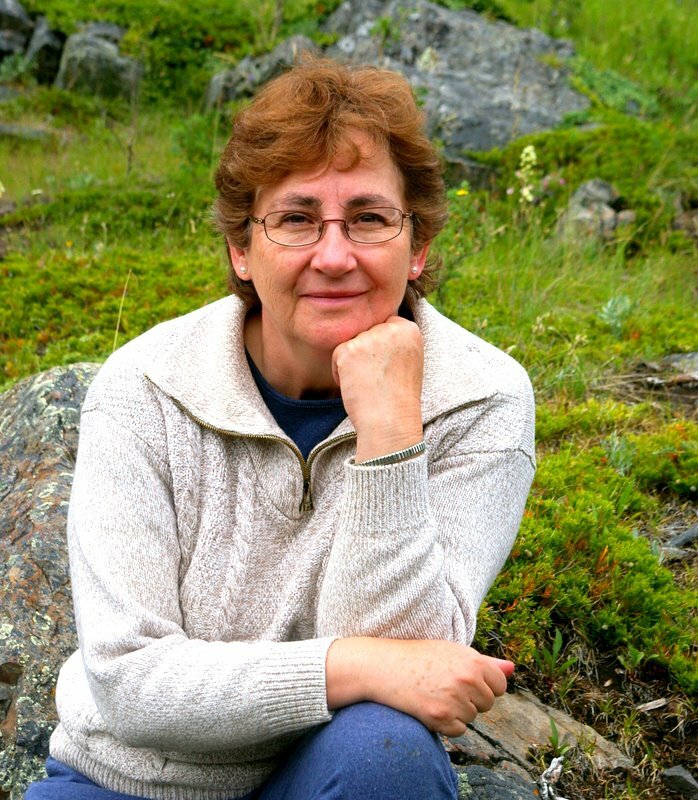 I’m very excited to have fellow historical author, Carol Ritten Smith, with me today! Her novel, Stubborn Hearts, was just released this week. Carol, thank you for stopping by! I have just a few questions about you and your novel to help readers get to know you better. Let’s get started! Give us an overview of Stubborn Hearts. 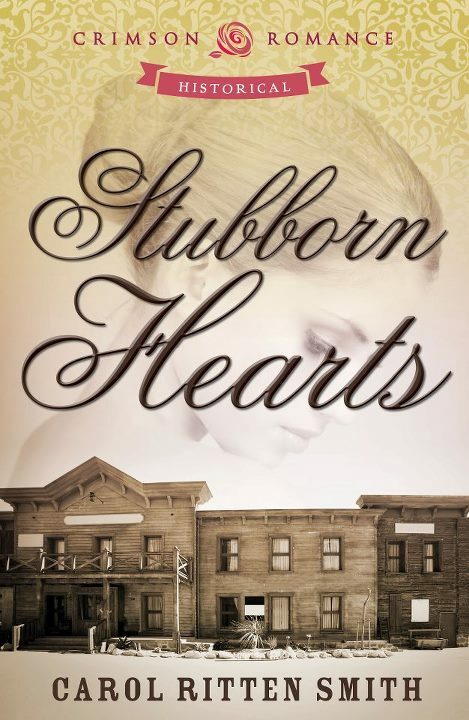 Stubborn Hearts is a historical western romance, circa 1900. The story is about, Beth, a young teacher in a one-room school and, Tom, the local blacksmith. Beth and her two younger brothers are living in the town Whistle Creek under false identities because Beth is hiding from the law. Tom is suspicious of the young family and he is determined to find out what they are up to. He deliberately plans “chance meetings” with them. She wishes the blacksmith would just mind his own business, but he seems to be showing up at inopportune times. And to make matters worse, her youngest brother has befriended the blacksmith! So while Tom is trying to unravel their mystery, he gets tangled in their lives. Now Beth has to decide. Can she trust Tom with the truth? Or will he hand her over to the authorities? The fate of her family relies on the strength of Tom’s love. I was born in a small town in Central Alberta, Canada. I married my high school sweetheart and became a farm wife. We had a son and then a daughter before we had our fourth anniversary. I worked at my mother’s picture framing and craft store, which I eventually bought. After our son and daughter became more independent, I began to write. I have a general idea, but nothing is concrete. At first I usually let the character do the leading. Why outline if I’m not positive if they will go where I want? Part of the reason they won’t go is because I haven’t completely figured out who they are. Further into the story I begin to lead. Sounds odd, I know, but it seems to work for me. LaVryle Spencer’s writing is the biggest influence! I love the premises of her stories, her believable characters, her beautiful style of writing . . . well, everything about her writing I love. After finishing one of her romances, I said to myself, “I wish I could write like her.” So I decided to give it a go. Funny, other than school assignments, I’d never written anything. Okay, I must confess. I did help my kids with their English essays and really enjoyed doing it. Was that wrong? 😉 Anyhow, it was Ms. Spencer who inspired and influenced me to write romances. I had a blast researching this book especially garnering information about the one-room school houses and their teachers. We also used to attend church services and community events in a community hall which was at one time a one-room school. Many of the activities held in the school in Stubborn Hearts are based on my own experiences and research. I also went to historical villages and watch blacksmith’s at work. I’m working on a story about a woman who joins a logging crew disguised as a male cook. Camp cooks make good money and it’s the quickest way she can earn enough to go back to Toronto and start her sewing business. Too bad the foreman of the logging crew figures out her scam. Of course he falls in love with her. That’s the plan so far, but it’s up to my characters to tell me if I can pull it off. Apparently I have a thing for men who use their hands in their profession. First the blacksmith and now a logger. I have a relatively new blog site at carolrittensmith.wordpress.com. I also have an author page on Amazon. Social media has been almost as difficult as writing a book, and some days even worse. Talk about a learning curve! I have blogged about the experience. I really want to thank you, Amanda, for inviting me to post about Stubborn Hearts on your blog. It’s been a pleasure! Beth Patterson and her two younger brothers are hiding from the law in the small town of Whistle Creek. Beth is committed to keeping her family together and she will do anything to ensure it. Anything. When her youngest brother befriends Tom Carver, the local blacksmith, Beth worries the truth will fly out of the six-year-old’s mouth faster than he can spit a watermelon seed. Surprisingly, it isn’t the boy who invites Tom’s suspicion. It’s Beth herself, the night he catches her snooping in his barn with an excuse so ridiculous it gets him wondering just what she is up to. Intrigued, he takes it upon himself to find out. But instead of unraveling their secret, Tom becomes entangled in their everyday lives. Beth knows the dangers of letting her guard down and soon she faces a most crucial and heart-wrenching dilemma of her life. Is Tom’s love strong enough to forgive her of her one felonious deed or will he condemn her? More importantly, dare she risk everything to find out? Teresa, thank you for replying. Actually, ‘Morning Glory’ was the first of LaVryle Spencer’s many books I’ve read. (It was that pretty blue Morning Glory on the cover that grabbed my attention.) I own all her books and have read them many times over. I’m glad you like the cover. Thank you for your best wishes! Stubborn Hearts is now on my “To-Read” shelf! I love historical romances and am constantly amazed at how much depth and diversity there is in the Crimson historicals. One room schoolhouses and blacksmiths–what better combination? Thank you, Becky. I hope Stubborn Hearts makes you smile! I love Laverl Spenser and enjoy her novel ‘Morning Glory.’ I agree with you, great authors inspires us! Yay! Love your book cover and best wishes for many sales! Sorry Teresa, I replied to your comment in the wrong spot. You can find it a wee ways above where it should be. Honestly, me and technology!